The Toshiba Pro Series displays are purpose-built to deliver exceptional high-end 24/7 digital signage solutions. Click here for detailed specifications of the Pro Series range. Toshiba’s eye-catching 32” Stretched Digital Signage Panels are precision-engineered to deliver exceptional high-end 24/7 display solutions. 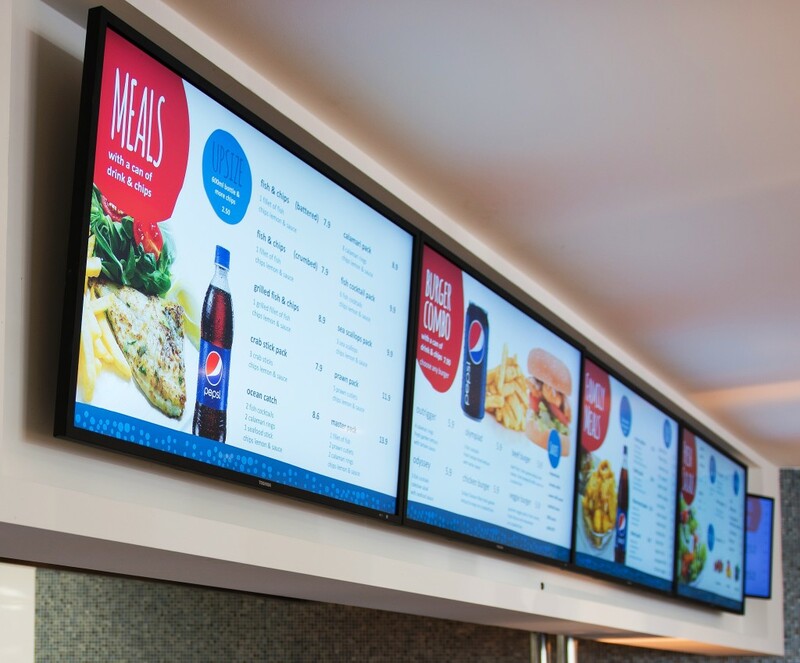 Click here for detailed specifications of the 32″ Stretched Panel. Combined with SwiftPOS Menu Board makes a powerful tool to run your business.